I'm impressed that the author weaves, not two, but three fairy tales into this retelling. It's little pieces here and there, but they're like Easter eggs in Disney movies- an extra dose of geeky fun if you're looking for them. Petunia is a decent mix of a quiet, lady-like princess and a decisive (armed) young woman. Toward the end, she gets less squeamish about actually firing the pistol she carries; but I think the story would have been more entertaining were we following Poppy (from Book 2) instead. Poppy usually makes things happen, rather than waiting for them to come to her, and there were several points where Poppy would enter the scene, say where'd she been, and I'd think, drat, why weren't we with her? That sounds fun! Like when she beat the princes at poker to win back their riding clothes. I wanted to see that, but I was stuck listening to girls cry and whine. The story feels rushed, like everything happens at an accelerated pace so we can fit it all in. Petunia is too trusting, bordering on naive and/or oblivious. After being magically forced to dance as a child, how long is it going to take you to be suspicious of people that are obviously out to get you and whose strange behavior is coinciding with dreams of the evil, magical Below? The romance - Oliver, you're talking hormones, not love...but I guess we had to find some way to get you involved in this whole thing in a snap. I feel like you're expected to remember who each princess is from the earlier books. A line is tossed out about princess so-and-so and, with the exception of former protagonists Poppy and Rose, I'm thinking, which one is that again? There are several...less than smart decisions from all the princesses. Not that characters always have to make good choices, but some of these were stupid beyond belief. As in the first two books, everything is solved too easily, and there's no major sacrifice. Minor spoiler, but we don't lose anyone we're really attached to. If you like your fairy tales with a little more grit and darkness or more developed romances, you may be disappointed. If, however, you're looking for an easy, escapist beach read, look no further. 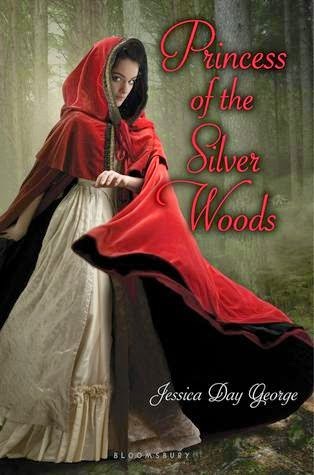 Princess of the Silver Woods is a quick tale of magic and romance. It's not deep and complicated, but it's fairly entertaining. If you read and enjoyed the first two books of the series, you will like this one, too. I didn't want to find any accidental spoilers for the first two books, so I only read the synopsis and final thoughts. I think this one is exactly what I am in the mood for right now. I'm willing to give it a shot!